The origin of this dried, red chile is unknown. The name “Japonés” may refer to a Japanese cultivar or may have come from the word “capones” that applies to chile peppers that have had their veins and seeds removed. 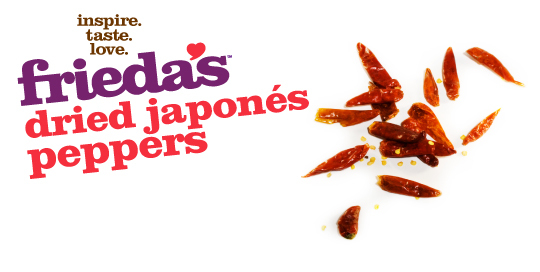 Japonés are hot in flavor. Heat is 7 out of 10 on the Scoville heat scale. Grind or crush to season sauces or Latin and Asian dishes. Hot peppers are packed with capsaicin, which is being studied for its pain-relieving properties. Choose semi-flexible pods and store in a cool, dry place up to 2 months for best flavor.